Here is a short video illustrating life ‘behind the scenes’ at QScience. It introduces in an informal context the people who work to edit, market and publish our journals! We are small and enthusiastic team based in Doha, Qatar, and this video shows a little bit more of what goes on when you decide to submit your work or subscribe to our journals! Conceived, directed and edited by Michael Greer, a summer intern here at QScience. She is currently studying English and Philosophy at Cardiff University. To learn more about Qscience, visit QScience.com. A common misconception among many academics and professors is that Facebook is bad, that Facebook is a means of procrastination, and that students need to spend less time on Facebook and more time working. I had the misfortune during my time as a graduate student to have the least strategic location for Facebook-usage during work hours. Not having my own office, I had to use a makeshift (but very safe) desk next to my bench in the lab. That meant that during incubation periods, I can quickly check my email, Wikipedia, the molecular weight of mitochondrial Cox1 and of course, Facebook. Unfortunately, my desk was located in front of the lab’s entrance, with my back to the door; and this meant that anyone passing by can see me check my email, Wikipedia, the molecular weight of every protein, and of course, Facebook. In a world where ‘there is always something to do’, not being by your bench when your professor or supervisors pass by, can be regarded of somewhat as a no-no. The purpose of this post is not to complain about the ‘persecution’ some students may get for using Facebook, or talk about how some graduate student got around using Facebook (the control tab function is an amazing thing); but rather to explain briefly that Facebook does have a place in academia. 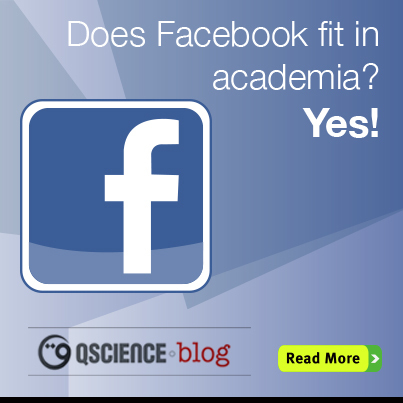 Yes, it may be a waste of time; but Facebook can be a channel for discovering academic content and also a way for students and academics to promote their work online. Also, a big movement in academia is the use of alternative metrics / altmetrics, which look into the number of downloads, article views, as well as how ‘sociable’ an article is by indicating the number of Facebook likes, mentions on Twitter, etc. However, what I will be focusing on in this blog post is how Facebook can be used as a source of information. I mostly use Facebook to communicate with my friends worldwide, complain about the traffic in my commute to work, and find out what my friends are doing without having to actually talk with them. What is great about Facebook (other than endless kitten pictures) is that it also can be used to be find out about the latest published research. As a non-practicing molecular biologist, I use Facebook as a source of science. I liked several journal and science-news pages and I get to find about the latest research and publications by simply browsing my Facebook news feed. If you like the QScience.com Facebook page, you will be receiving content related to QScience.com published articles as well news about open access publishing. The same holds true if you are a fan of Science, Nature, Frontiers, or eLife. For example, I found out about Randy Schekman’s criticism of ‘luxury journals’ from eLife’s Facebook post which popped up in my news feed. Interestingly, I also found out about Schekman winning the Nobel prize from Facebook. What followed as soon as the news was announced, was a series of post shares, status updates of excitement from fellow Goettingers, and a debate among some of my German friends whether it was a nobel prize for Germany or the USA. Nonetheless, there was a debate and dissemination of news. Isn’t this what science is about? A big part of successful science is communication (given that you do not give away your recent results and get scooped). To receive updates from your favorite journal page, simply like the page and click on ‘get notifications’. Many journals are increasingly using Facebook for content marketing and will periodically post about their most exciting research. Of course, many would argue that Twitter is more efficient than Facebook for news and information. To an extent, that is true. But does Twitter deliver the same visual aesthetic as Facebook? Not so often. Besides, many scientific article titles alone can be more than 140 characters. If you are an academic supervisor, the next time you see a student using Facebook instead of ‘working’, they could actually be doing research! This week I had a chance to travel to Bangkok in Thailand to attend COASP Asia: OASPA‘s first Asian conference on open access scholarly publishing. It was OASPA’s first conference outside of Europe, and I do hope there will be more of these in the next couple of years. It was very exciting to get new insights into the landscape of open access publishing in countries such as South Korea, Japan, Singapore and China. One of the conference’s main themes was building trust and transparency in academic publishing and I am sure that this will be mentioned again in the upcoming annual conference in September. To find out more about the highlights and discussion during the conference, check out the Storify feed, which I have created using the #COASPAsia hashtag. It was a pleasure being at another OASPA meeting! If you have recently browsed through QScience.com using your mobile device, you might have noticed a new feel to the website. QScience.com uses Atypon’s Literatum™ as the publishing software for its portfolio of scholarly open access journals, and with the latest Literatum release (14.1), there have been some positive changes to the QScience.com mobile experience. With Literatum for Mobile 3.1, you will be able to seamlessly browse QScience.com journals and content. Another nice update is the look and feel of the article landing page. You should be able to read full article text in HTML, besides easily accessing the PDF file. Interestingly, I found myself reading the full text article on my mobile device rather than search for a way to access the full site, as I have done on many previous occasions. 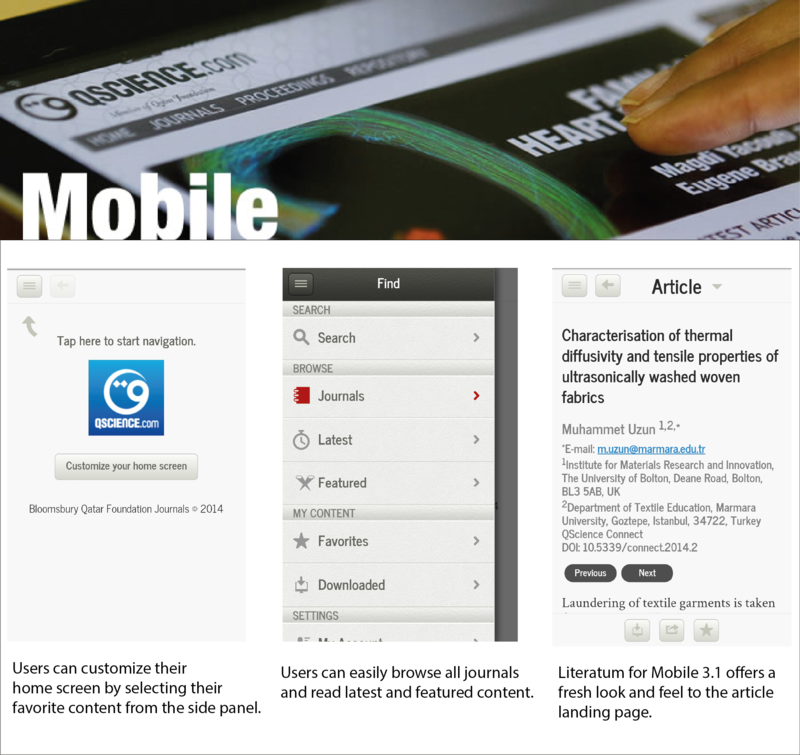 QScience Mobile also offers a personalized browsing, searching, and reading experience. Users can now easily customize their own home screen by choosing items from the side panel with this new update. They should then be greeted with content from their favorite journals or book whenever they are signed in to QScience.com on a mobile device. Moreover, when signed in, users will be able to share content directly to their favorite social media channel. QScience.com is accessible for all users with Android and iOS phones and tablets. As with the previous version, you do not need to register or install an app, simply visit QScience.com via your mobile device. We are very pleased with the latest Literatum release from Atypon, especially on how it affects the presentation of our platform on mobile devices. We also hope that our users will be happy with these changes and will continue to use the mobile interface to receive the latest content from QScience.com. 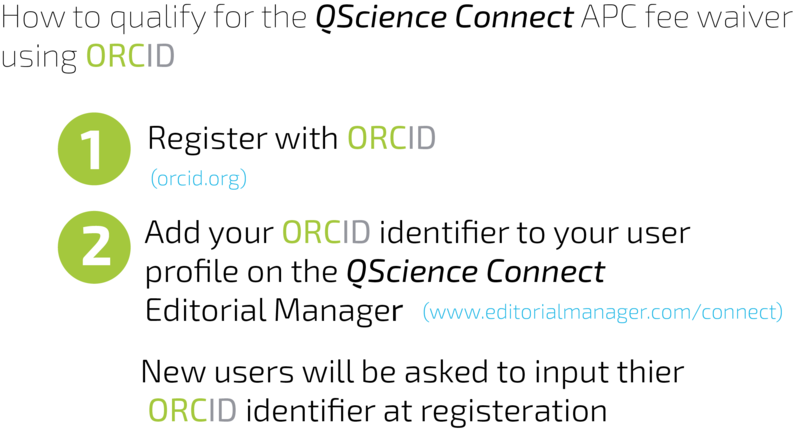 At QScience.com, we love ORCID. It’s simply an ingenious way of removing ambiguity when it comes to article authorship. ORCID stands for Open Researcher & Contributor ID and is a non-profit organization that allows researchers to obtain a persistent digital identifier. This ID number is unique to a given author and ultimately solves many attribution issues such as researchers with similar names, or researchers with multiple names or name variants. In order to encourage the adoption and uptake of ORCIDs, QScience.com has recently announced to waive all QScience Connect article processing charges (APCs) for authors who input their ORCID identifiers when submitting an article. 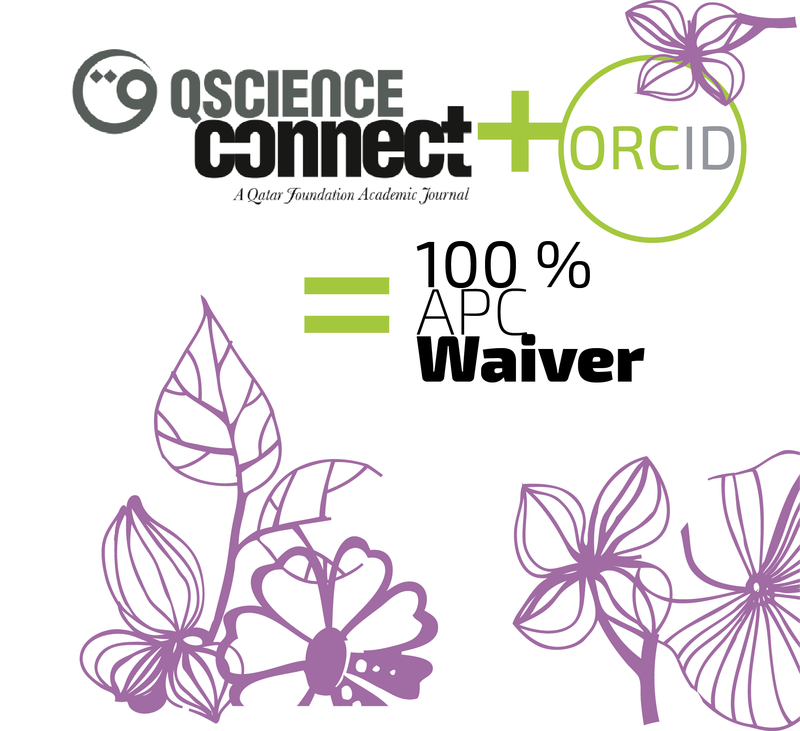 To qualify for this APC waiver, all authors have to do is update their user profiles in the journal’s submission system with their unique ORCID identifier. New authors will be asked to input their ORCIDs when they register for the site. I also had the chance to sit down with QScience.com Editorial Director, Dr. Christopher Leonard, and asked him about this new exciting development for QScience Connect. He describes in the following video how he believes ORCID is an essential part of the future of scholarly communication and how he hopes it will be used to attribute all online content. Mohamed Mubarak is Senior Research Librarian at the Qatar Faculty of Islamic Studies Library (QFIS). 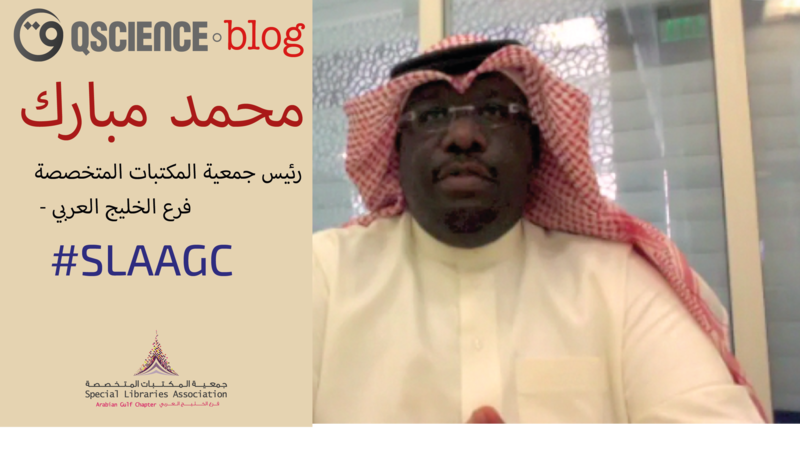 He is also president of the Special Libraries Association – (Arabian Gulf Chapter) SLA-AGC. I sit down with him at the lovely QFIS library and talk to him about his history with the SLA-AGC, the upcoming SLA-AGC conference, and his thoughts on open access publishing. Alwaleed Alkhaja (AA): First of all, thank you Mohamed for meeting me today. My first question is how did you get involved with the SLA-AGC? I admit that I have previously heard of the SLA but I did not really think about joining it. She told me that I will learn a lot and that I will gain some of the leadership skills that I will later need for my career. She managed to convince me and I was later nominated to join the SLA. Honestly, it was a good experience to introduce myself to different people with different backgrounds: from academia to the private sector. I started learning from this new environment and was able to transform some of the things that I learned to a decision-making level. I also started to take part in organizing a regional event (the SLA-AGC conference) that serves most of the information professionals in the region. The SLA-AGC membership itself allowed me to eventually progress to become the chapter’s public relations officer. From that the time I started understanding that, we as information professionals are not just serving the institute we work for but we are serving the profession of librarianship itself. Organizing an annual event gives us the opportunity to invite other potential professionals to join the SLA. The SLA is a big organization that started in the US back in 1909; whereas the SLA-AGC is one of the oldest SLA chapters. I have been fortunate to be part of this organization and serve the profession of librarianship. (AA): What are some of the main goals of the SLA-AGC? (MM): Our goals and objectives are not different of the main SLA organization. These goals include providing information professionals with the opportunity to network with each other. Moreover by attending our conference and various workshops, these information professionals will have the opportunity to learn and develop their work competencies and skills, learn how to acquire new technologies for the work place, as well as develop their collection in a way that can serve their community. It is worth mentioning that the SLA-AGC deals with a different culture than the one in North America, and therefore somewhat different challenges. We try our best to invite more people to our annual meeting, to give them an opportunity to be a member of the SLA-AGC (which I believe will help them discover how to become a leader in their profession and how to serve their communities in the best way. We still have a mission to complete: we need to develop our programs for each year, and invite more speakers to attend, and encourage more people to participate. 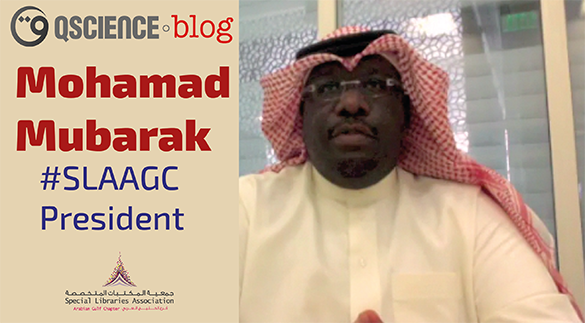 By establishing a partnership with different institutions within the Arabian Gulf over the last twenty years, the SLA-AGC has been able to build good relationships with different government and academic entities. (AA): The SLA hosts an annual conference, and I had the chance to be there last year. How was it in Abu Dhabi, United Arab Emirates? (MM): I received good feedback from different delegates. I was in the middle of organizing the conference and I can say that it was indeed a successful event in Abu Dhabi. It was also the first time that we organized the event with the very prestigious Masdar Institute in Abu Dhabi. Also, it was very good in the sense that way that we managed to have a successful plenary session program. We worked very hard to bring the latest trend topics with the expectation of the professions in the region. I would like to think that we did a very good job! For sure, the next SLA-AGC conference in Doha will be a good opportunity to continue our successful journey. AA: The conference in Abu-Dhabi was only my second SLA-AGC event (the first was a workshop I attended in Oman in February 2013). What I found interesting is that I met many librarians from outside the Arabian Gulf. Does the SLA extend its support to countries beyond the GCC countries? MM: For sure! That is one of our main objectives. We should not really be limited by the name of the chapters (Arabian Gulf Chapter) but need to expand our support to professional librarians in the region and in the Arab world. We had a good opportunity this year to have people from Algeria, Tunisia, Egypt, Jordan and Lebanon as well. We are aiming to be an international event not just a regional event. We try our best to develop the chapter. We will continue aiming for the highest level of quality and international reach. AA: What would you like to see in this year’s event? MM: (Smiles) I would like to see a lot of new things! This year’s event will be here in Doha in partnership with Qatar University. For sure we have a lot of things in mind. We have a rich program for next year and we recently set out the call for papers (Deadline was 1st October 2013). We will need a lot of help from key players in Qatar. We are planning to have an event with QScience (which is part of Qatar Foundation) and we have a plan as well to have an event with the Qatar National Library of Qatar Foundation. We are looking forward to the next event! AA: Now something more related to what QScience.com does; I would like to ask what is your opinion on open access ? MM: Open access is a very important publishing initiative and I have been introduced to open access in my previous position as medical librarians, in which I used PubMed Central to retrieve articles for academics. I was surprised by the large number of accessible scientific articles. When it comes to open access, we have to think about developing countries, which don’t have the resources and financial support to get access to the scientific literature. Open access helps a lot of scientist and researchers around the world to get access to the latest literature. This is very important to continue to their research and education. I completely support it! AA: As you probably know, some of the universities in our region do not have the financial support to get all needed journal subscriptions. How do you see the role of open access in developing research in the region? Open access will help increase the research level a lot in the region and the world. I was involved in an advisory board for another publisher and some of the things that was discussed was how open access can develop research on a national and regional level. I think the Arabian Gulf has a low research output compared to other regions. Some researchers find it difficult to publish in high-impact journals and tend to publish in lower-impact journals. They eventually find out that their research does not reach the audience they wished for. Many open access journals still have the high quality peer review process and will allow their findings to be more accessible to academics worldwide. As librarian professionals, we should convince the different academic institutions in the region about the important of investment in open access. Some institutions have research funds dedicated for publishing and I would like to see some of these institutions to adapt more open access policies. There is a lot of great research that is published in the region but I consider it as gray literature because it does not have the opportunity to be seen by a lot of the people around in the world. Open access will be an important way for their work to be seen by researchers around the world. 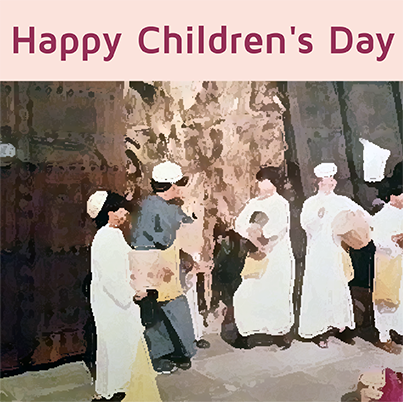 Children’s Day honors children globally. The day is not only meant to serve as a celebration but also to raise awareness of the many issues children face. QScience.com recently published the proceedings from The Doha International Institute for Family Studies and Development (DIFI)– organized symposium on “Family, Migration and Dignity”, which took place in Doha, Qatar. One of the eight symposium sessions focused specifically on the migration impact on and risks for children. Also, QScience.com will be publishing very soon a research series from DIFI. Make sure to check our website for the latest updates. QScience Proceedings is a forum for the dissemination of abstracts and full length papers given at meetings and conferences. Each volume has its own dedicated web page and every abstract is citable through a DOI link. If you are interested in having your conference proceedings published by QScience.com please contact info@qscience.com for details of how to publish with us.